The opportunities to enjoy the great winter sport of snowmobiling have increased dramatically in Maine over the past decade. Because of that, more people are using the thousands of miles of snowmobile trails each winter. Maine's trails have the reputation of being the best in the Northeast and among the best in the country. The largest majority of the snowmobile trails in Maine are on private property. Landowners working cooperatively with local clubs, chambers of commerce and in some cases local and state levels of government have agreed to allow the creation and maintenance of these trails. Abuse of the land on or along a snowmobile trail can lead to the loss of use in the future. Carry out what you bring with you on your trip. Pick up after others who know better but don't care. Lastly, don't damage the landowner's property in any way. After all, it is their land and all snowmobilers using the trails on their land are guests. 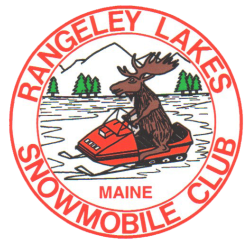 Whether you are a resident of Maine or from another state or country, seriously consider joining a snowmobile club. Maine is a very fortunate to have a strong network of local snowmobile clubs. By in large all of the clubs and their members are affiliated with the Maine Snowmobile Association which works year round bettering the sport of snowmobiling. A large percentage of the trails in Maine are the efforts of these small clubs. Volunteer members plan the trails, obtain landowner permission, construct the trails and bridges, maintain the trails and most importantly groom the trails. Grooming and maintenance equipment is becoming more and more expensive. Funds are raised locally along with some grants being provided, mainly from the state for these types of purchases. Joining the local club or clubs in the area where you do the majority of riding will make a difference. Please consider doing so. Snowmobile trails in Maine are there for all the public to use and enjoy. Young and old, adults and children, all take to the trails with the expectation of a safe and memorable experience. The improper operation of snowmobiles, the lack of courtesy towards others using the trails and the disregard of the safety of other trail users is a major concern of the snowmobiling community and the Maine Warden Service. Please take a minute, read the following Rules of the Trail and most importantly, make these rules become part of your operation. If everyone operates in a safe and prudent manner, snowmobiling in Maine will become an even safer family oriented sport. Two snowmobiles can't occupy the same space on the trail at the same time, so there are rules of travel. When you ride Maine's trails, always keep your sled to the right hand side to allow for oncoming traffic in the left hand side. You would be surprised how many snowmobilers, new and experienced, ride down the middle of the trail. This is a dangerous practice that inevitably results in accidents. If you stop along the trail, park your sled well off the trail if possible or to the extreme far right in an area of good visibility. Speed on Maine's snowmobile trails is measured on a standard of reasonable speed for the existing conditions and use by others. Conditions include a number of factors such as weather, visibility, trail conditions, snow coverage and day of the week. Operate only at a speed that allows you to remain in total control of your snowmobile. Remember, even though you feel you are in total control you have to respect how other snowmobilers feel. When meeting or passing other snowmobiles on the trail, do so at a slow and cautious speed. You owe it to all the other snowmobilers on the trails to signal prior to a change in your operation. Whether you are making a turn or just plain slowing down, use the proper hand signal so others know what you are doing. A few people can ruin a good time for the majority. Snowmobilers need to be constantly vigilant to the fact that you don't know what is coming at you, what is around the next bend or who is overtaking you. Enter all corners cautiously, pull over in a safe place and let snowmobilers by that come up behind and most importantly, be ready to react to any situation you may encounter. The best part of the sport of snowmobiling is meeting friends, neighbors and guests from away along the trail. The worst part is meeting a snowmobiler who doesn't know right from left. Keep Maine Snowmobiling safe and fun for everyone who rides. Stay to the right side of the trail at all times. Drinking and operating a snowmobile don't mix. Don't practice this behavior and don't tolerate others who do. Report violations to the Maine Warden Service as soon as possible. There is ZERO TOLERANCE for this type of behavior on Maine's trails. All of the above mentioned rules are common sense related. Operating a snowmobile in a safe and prudent manner not only makes the trails safer for everyone else using them, but will ensure that you have a quality outdoor experience. Leave a note or itinerary sheet describing your ride - where you are going, what route you are taking, who you are with and when you plan to return. A description of your sled is a good idea too. Leave the information with a friend, the desk clerk at your hotel, someone who can share the information if you don't return in a timely manner. If your plans change, let someone know and save the Warden Service an expensive, wasted search and rescue effort.